and Avoiding Headaches and Delays. 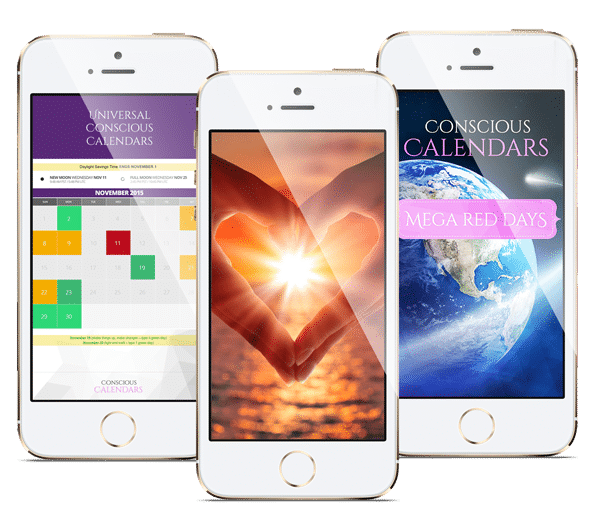 If you have not already downloaded your free sample of Conscious Calendars, then click below and begin testing the Red, Yellow and Green Days. EVERYONE receives ONE free 30 day sample of a Conscious Calendar. If you have already received one month (30 days) of your Free Conscious Calendar, then you have the option to purchase a Three Month view of Conscious Calendars with the Quarterly Subscription, or better yet, get Twelve Months of Conscious Calendars for one price per year which is like getting a Quarter free! Make sure to open your email to get all the free training, the free guided visualization which is great to use on Red Days (coming UP in your free access emails) and special newsletters of guidance. This training video series helps you better use Red, Yellow and Green days to your advantage and spiritual healing. Celebrations, Parties and Events that are a hit! When you take action can have vastly different effects according to Vedic Astrology. The same action taken on a Red Day versus a Green Day has different effects. Versus, Green Days are all about building connections between people and building 'out in the world' and create ripples of flourishing, growth, expansion and happiness in the future. When’s the last time you enjoyed a day of good vibes, serendipity and abundance? It was likely a Green Day.